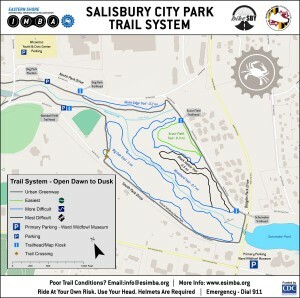 The City Park is host to 4 miles of mountain bike trails, maintained by ESIMBA and the City of Salisbury. 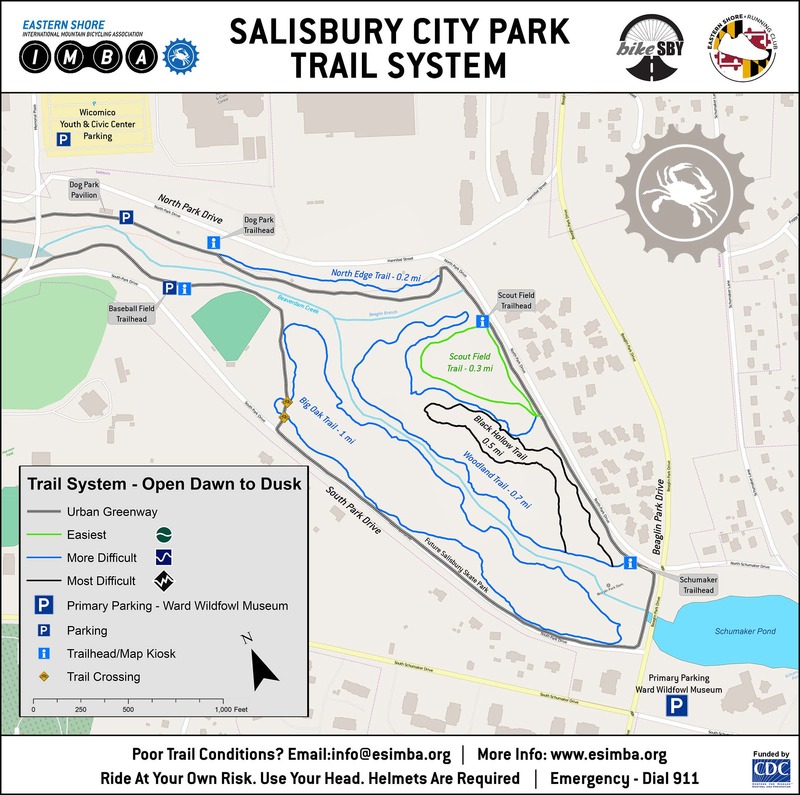 The trail starts from Beaver Dam Creek and cuts through the Salisbury Zoo and beautiful wooded areas near Pony League Park. It has a varying terrain of hills, twists and turns through the scenery of fields, forested areas, and the calm creek in the center of the city. For those who want to visit the trail, but are not bikers, fear not. The trail is great for runners and walkers too. It gets the most foot traffic on the lower Eastern Shore. A PDF of the current trail map is available here. ESIMBA has placed kiosks at the various entrances to the trails.